Click here for online games, brain teasers and more fun! of Cleveland, Northeast Ohio & Beyond! The other day a not so elderly (I say 75) lady said something to her son about driving a Jalopy; and he looked at her quizzically and said, "What the heck is a Jalopy?" He had never heard of the word jalopy! She knew she was old ... But not that old. About a month ago, I illuminated some old expressions that have become obsolete because of the inexorable march of technology. These phrases included: Don't touch that dial, Carbon copy, You sound like a broken record, and Hung out to dry. We wake up from what surely has been just a short nap, and before we can say, 'Well, I'll be a monkey's uncle! '� Or, 'This is a fine kettle of fish! '� We discover that the words we grew up with, the words that seemed omnipresent, as oxygen, have vanished with scarcely a notice from our tongues and our pens and our keyboards. We of a certain age have been blessed to live in changeable times. For a child each new word is like a shiny toy, a toy that has no age. We at the other end of the chronological arc have the advantage of remembering there are words that once did not exist and there were words that once strutted their hour upon the earthly stage and now are heard no more, except in our collective memory. It's one of the greatest advantages of aging! This book touches on 4 areas that are simply fascinating to me: Newspaper reporting in its heyday before computers and the Internet, the 1960's, Cleveland in the 1960's and a first-hand account of the Vietnam War by a reporter who spent 8 months all over the Far Eastern country. As a longtime Browns fan and season ticket holder since the 1980's I lived through the last 20 painful years of the Browns return so didn't expect much except rehashing from this book. But I was surprised at how much I had forgotten and how much I never knew. More than just Child Proof! Are you Enjoying the Delightful Infirmities of Old Age? Beloved TV weatherman and Upbeat TV show host Don Webster passed away Thursday December 13, 2018. He was 79 years old. See Don Webster's official ClevelandSeniors.Com profile with photos. He also shared numerous photos with us of Don with celebrities. See the Don Webster photo page. Rest in peace Don, you were well loved and will be remembered. I had everything planned and had told my wife I would not be going to church with her on Sunday. My wife reminded me that Sunday was the Sabbath Day and hunting a trophy buck should not be part of the Sabbath. 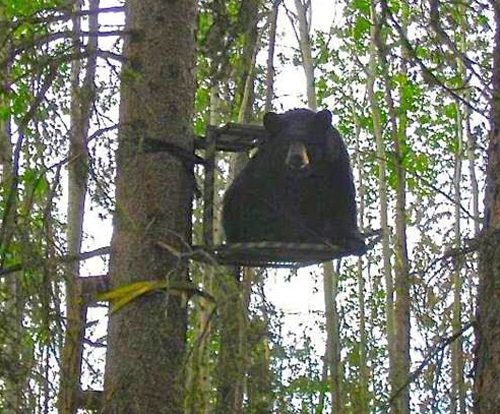 I had scouted the area all summer and I searched out the best location for my tree-stand. I set it all up a month ahead of time. I trailed the herd and picked out a trophy buck. Two days before opening day I rechecked every aspect of the hunt. Everything was in place. On Sunday morning, I woke up at 2 am. I put on my camo, loaded my pack, set out for my stand. This was destined to be an "Epic" hunt. As I approached my deer stand, I called my wife and told her I had decided not to hunt on the Sabbath and would meet her at church. The Sunday sermon was entitled, "The Lord Works In Mysterious Ways "
(This story has been verified as true by Snopes and other fact-checking sites.) Richard, (my husband), never really talked a lot about his time in Viet Nam other than he had been shot by a sniper. 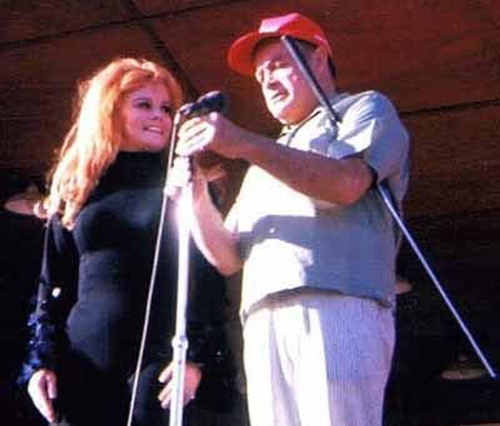 However, he had a rather grainy, 8 x 10 black & white photo he had taken at a USO show of Ann Margaret with Bob Hope in the background that was one of his treasures. A few years ago, Ann Margaret was doing a book signing at a local bookstore. Richard wanted to see if he could get her to sign the treasured photo so he arrived at the bookstore at 12 o�clock for the 7:30 signing. When I got there after work, the line went all the way around the bookstore, circled the parking lot, and disappeared behind a parking garage. Before her appearance, bookstore employees announced that she would sign only her book and no memorabilia would be permitted. Richard was disappointed, but wanted to show her the photo and let her know how much those shows meant to lonely GI�s so far from home. Ann Margaret came out looking as beautiful as ever and, as 2nd in line, it was soon Richard�s turn. He presented the book for her signature and then took out the photo. When he did, there were many shouts from the employees that she would not sign it. Richard said, �I understand. I just wanted her to see it�. She took one look at the photo, tears welled up in her eyes and she said, �This is one of my gentlemen from Viet Nam and I most certainly will sign his photo. 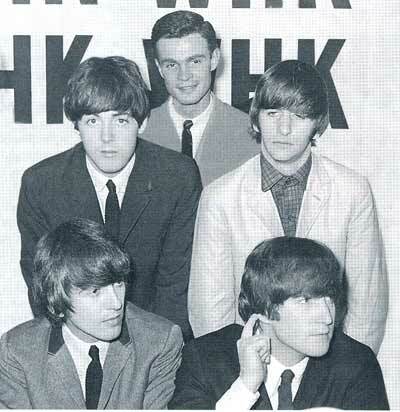 I know what these men did for their country and I always have time for �my gentlemen�. With that, she pulled Richard across the table and planted a big kiss on him. She then made quite a to do about the bravery of the young men she met over the years, how much she admired them, and how much she appreciated them. There weren�t too many dry eyes among those close enough to hear. She then posed for pictures and acted as if he was the only one there. Later at dinner, Richard was very quiet. When I asked if he�d like to talk about it, my big strong husband broke down in tears. �That�s the first time anyone ever thanked me for my time in the Army�, he said. Richard, like many others, came home to people who spit on him and shouted ugly things at him. That night was a turning point for him. He walked a little straighter and, for the first time in years, was proud to have been a Vet. I�ll never forget Ann Margaret for her graciousness and how much that small act of kindness meant to my husband. I now make it a point to say Thank You to every person I come across who served in our Armed Forces. Freedom does not come cheap and I am grateful for all those who have served their country. If you�d like to pass on this story, feel free to do so. Perhaps it will help others to become aware of how important it is to acknowledge the contribution our service people make. Is America going in the right direction? Joe Meissner continues his column about growing old with a look at 10 areas that he sees problems with in modern society. I think I saw a positive review by someone about a 1967 book called The Great Brain so I picked up the audio version to listen to while driving. I almost gave up on it because it is the story of a Utah family in 1896 and seemed geared to young readers. But I kept listening and became hooked. The Great Brain was written by John Dennis Fitzgerald (1906-1988) and is set in the small town of Adenville, Utah, between 1896 and 1898. The narrator is the youngest of 3 boys in a Catholic family in a predominantly Mormon area of Utah. John Dennis Fitzgerald, also called JD, tells the story of his oldest brother Sven and parents but the main focus is the middle brother Tom who has the "Great Brain." 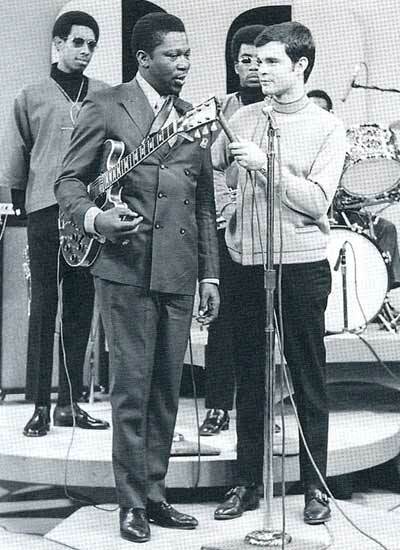 "I came back home and eventually left the Marines and the service. I am sorry, however, I did not sign up again. I have always regretted that decision, all my life. I know that sounds strange. Maybe it is all the guys that did not return. They are like ghosts and you cannot run away from them. But I did get back in one piece. Later I got married, settled down, and we had a nice family. "For many years after, " he continues, "The thought would come back to me about staying in. I would have wanted to re-up again. But it was too late. After several years home, another thought began to bother me. "'Why,' I wondered, 'had I survived and the others did not.' That question gnaws at my stomach even right now." Superman wasn�t born on Krypton. He was born in Cleveland. More precisely he was born at 10622 Kimberly Ave. in Cleveland's Glenville neighborhood. 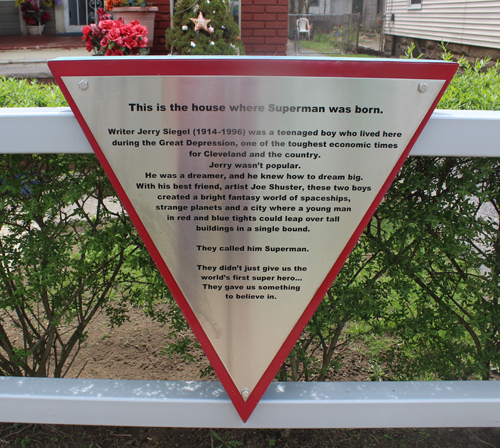 While attending Glenville High School in Cleveland in early 1933, Jerry Siegel wrote a short story, illustrated by his friend and classmate Joe Shuster, titled �The Reign of the Superman�, which Siegel self-published in his fanzine, Science Fiction #3. Originally Superman was a villain but in June 1933 Siegel developed a new character, also named Superman, but now a heroic character. 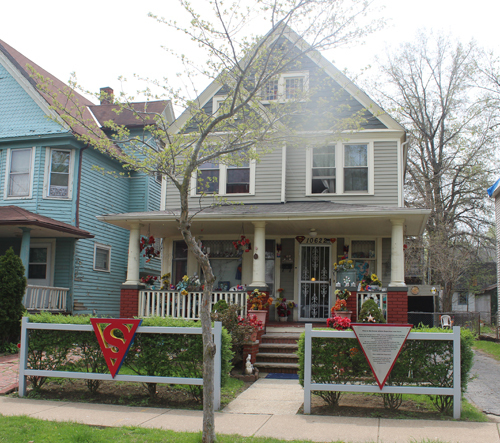 �This is the house where Superman was born,� reads the sign hanging on the fence in front of 10622 Kimberly Ave. It�s a private home. Just because you're "Young" doesn't mean that you can outsmart an "old Geezer"
Yesterday my daughter e-mailed me again, asking why I didn't do something useful with my time. "Like, me sitting around the pool and drinking wine is not a good thing?" I asked. My "doing-something-useful" seems to be her favorite topic of conversation. She was "only thinking of me", she said and suggested that I go down to the Senior Center and join something. 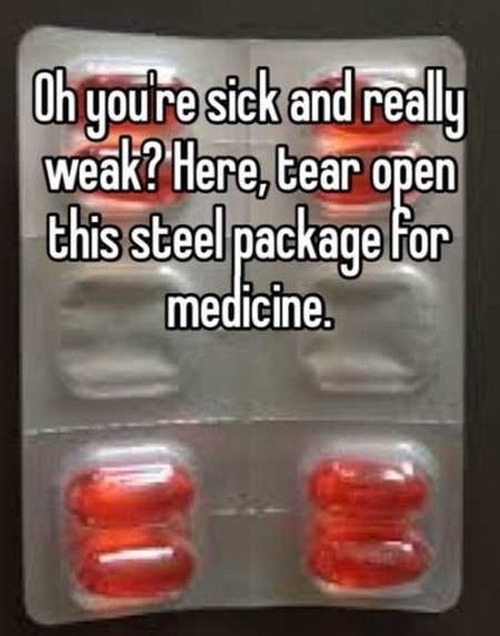 I did this and when I got home last night, I decided to play a prank on her. I e-mailed her and told her that I had joined a Parachute Club. She replied, "Mother, are you nuts? You are 78 years old and now you're going to start jumping out of airplanes?" I told her that I even got a Membership Card and e-mailed a copy to her. She immediately telephoned me and yelled, "Good grief, Mom, where are your glasses?! This is a Membership to a Prostitute Club, not a Parachute Club." I calmly replied, "Oh my, I think I'm in real trouble then, because I signed up for five jumps a week!!" Life as a Senior Citizen is not getting any easier, but sometimes it can be real fun. Do you need help paying your Medicare expenses? If you are a low-income Medicare beneficiary, the Medicare Premium Assistance Programs (MPAP) may help you pay some or all of your Medicare cost-sharing expenses (premiums, copays, and coinsurance). MPAP is part of the Ohio Medicaid program. MPAP is sometimes called the �Medicare buy-in� or �Medicare savings� program. Who Needs Advance Directives about Medical Care? It is difficult for people to accept the notion that adult abuse occurs in the elderly, but the sad fact is that it occurs everyday. Last year in Ohio over 16,000 incidents of elder abuse were reported to Ohio Department of Job and Family Services. In Cuyahoga County alone, over 3,000 incidences of elder abuse were reported to Cuyahoga County Department and Senior Adult Services, Adult Protective Services. Should you purchase prepaid funeral arrangements? Many people do not like to think about death or funeral arrangements, but some people do make plans for when they pass. For example, some people choose to purchase �pre-paid funeral contracts.� These contacts allow you to make decisions about your own funeral, and pay for it ahead of time. These pre-paid contracts give some people peace of mind. But before purchasing such a contract, keep the following issues in mind. BenefitsCheckUp is a web-based service that helps seniors. It is especially helpful for those with limited income and resources, their family members and, social service organizations. It connects people to over 2,000 public and private programs. Many adults over 55 need help paying for basic needs. Some of the benefits screened for are health care services, prescription drugs, rent assistance, in-home services, meals, heat, and energy assistance, and transportation. Grandparents sometimes find themselves caring for a grandchild unexpectedly. This often happens without any formal court order giving the grandparent custody or guardianship. Without custody or guardianship, the grandparent will face problems getting medical care for the child or dealing with the child�s school. :When my mother died in 2012, we discovered that her will was from 1959 and had not been updated to reflect the many changes in her life since then: she had four more children, she bought a house, furniture, an automobile, jewelry, and a dog. As a result, my mother died without a valid will. Following her death, bills had to be paid, property sold, her furniture, jewelry, the car divided, and someone had to take in the dog." Before You Leap starts on screeching tires, literally�an interstate bridge, a police chase, three men trapped in a car, driving at full speed. The two in the front are arguing, one is brandishing a gun, and the third is bleeding profusely in the backseat. You can�t help but be immediately hooked and wonder, Who are they? And how on earth did they get here? The novel then takes you back a few days. Greg Cole�s quiet and secluded life is about to be thrown into chaos when he learns that his dead sister�s convicted murderer has been released early. Before You Leap is absorbing, thought-provoking, and psychologically riveting. I was struck by how the author is able to delve into Greg�s psyche and express his grief over the loss of his sister�and the inner turmoil that overtakes him�with such clarity. What you�re left with is a poignant, complex, nail-biting novel where you watch in a stupor as someone�s life and sanity shatter. And as it crescendos, the story pulls the rug from under your feet and delivers the most unexpected twist�one that took my breath away and left me reeling. Have you seen the Amazon Deal of the Day? Everyday, a new very special deal will be offered. Look to the left-hand column of this page for the daily special. 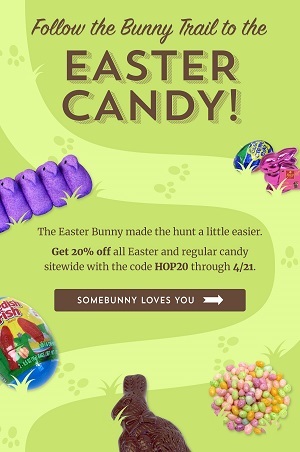 Sign up for our free eNewsletter sent about once every 2 months with special offers, discounts, contests and more. Whether you are a Boomer who's just turned 50 (and don't think of yourself as a Senior) or part of the "Greatest Generation," you can learn about issues that are important to you and your family right here on ClevelandSeniors.com from Cleveland area experts. Share your thoughts, memories, ideas with other Cleveland Seniors and Baby Boomers. Keep your mind sharp with some of our games, quizzes and mind expanders. Copyright � 2001-2019 ClevelandSeniors.Com. All Rights Reserved.